Going to Melbourne is never not a delight. Apart from culinary discoveries, its arts and music scene always produces something new and original or at least emissions that add an idiosyncratic twist on the tried and tested and infuse it with fresh blood and originality. Case in point: Victorian indie darling Courtney Barnett, who also operates the record label Milk! With her partner and artist in her own right Jen Cloher. With her contemplative and at times launig-ironic and pithy approach to dissecting everyday observations, backed by her trademark singy-spoken vocal delivery and a dual guitar attack serving the counterpoint to her sweating the small stuff, her debut album, along with her collaboration with Kurt Vile from 2017 found themselves on heavy rotation on the mobile device I was utilising during my travels. 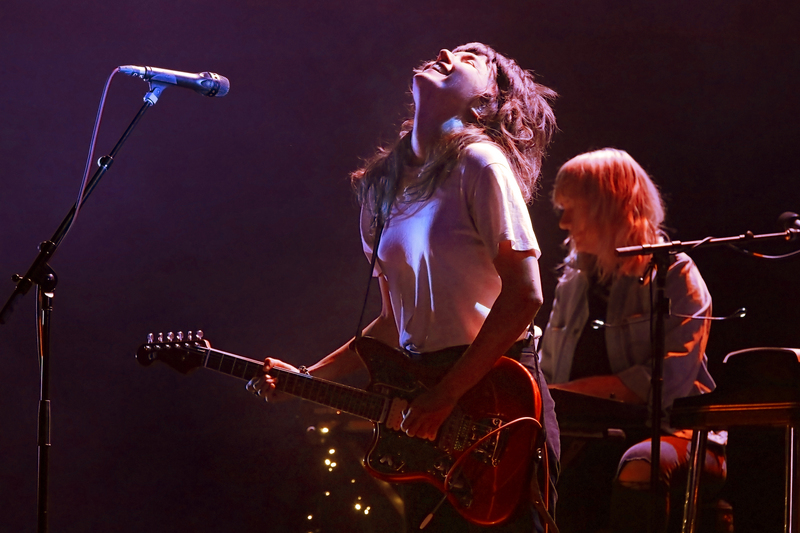 Given that Courtney Barnett’s oeuvre seamlessly transitions and manoevours between poppy tunes and heavier, feedback laden grungy Pixies / Breeder-esque nuances, it is not further wondrous that it did not take long until songwriter Courtney Barnett became a worldwide sensations in the indie-scene. 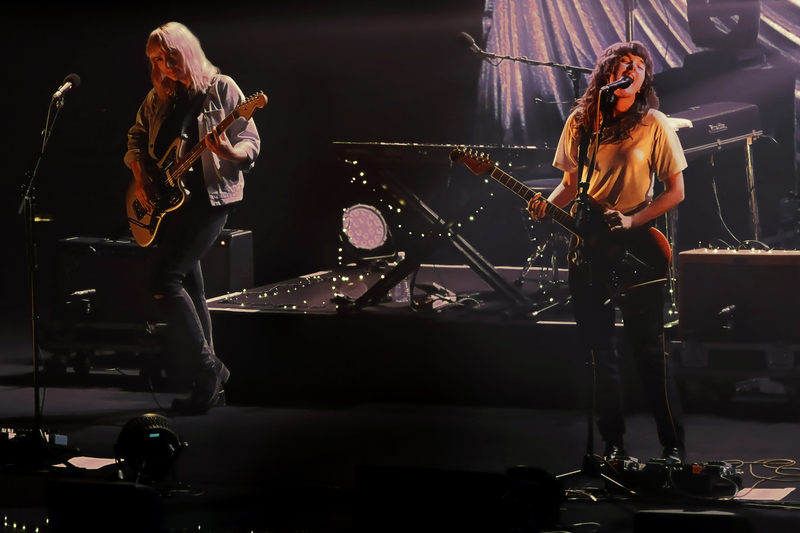 In a live environment, of which tonight’s audience welcomed her enthusiastically, Courtney Barnett incarnates with a tight band, the sheer force of which propels her show constantly forward like a well-oiled machine. Not counting on winning the crowd over by playing her upbeat radio hits too early, her set seemed to have been well thought through with deliberate ebbs and flows navigating her catalogue. 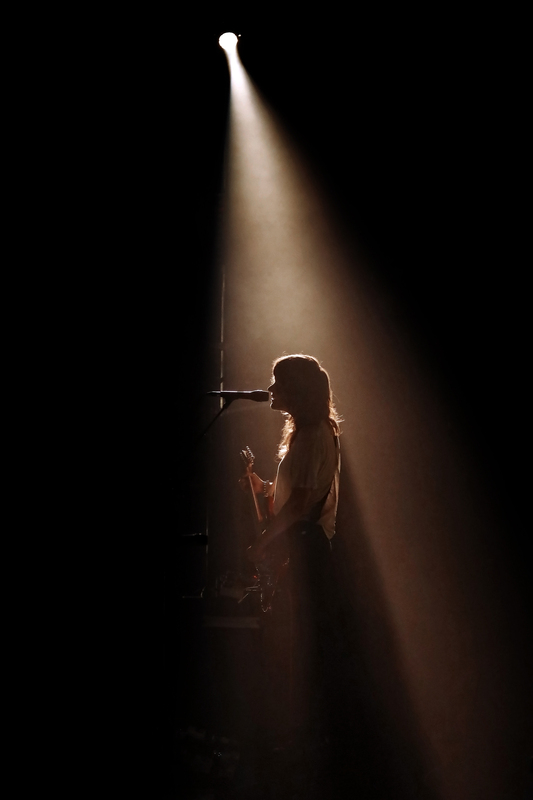 Being more of an introvert and despite a lack of stage banter, her engaging and nonchalant delivery along with the urgency of her innate energy and the personality of her strong voice is reflected in her reception as the nearly sold-out crowd celebrates every note, swaying and dancing along in equal measures. A fantastic evening by a woman who is firmly in touch with who she is and is at the top of her game. You would do yourself a major disservice if you did not make an effort to catch her if she ever holds court in your neck of the woods.